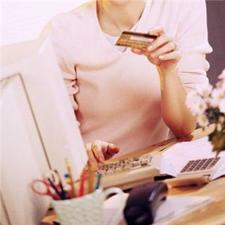 Shopping online has become "increasingly popular" and can be a good way to save money, says a search website. Consumers can now buy almost anything online, including health products from contact lenses to support bandages and vitamins. A spokesperson for retail search website Shopzilla said once people try buying via the internet, they tend to continue doing so. And because of the current economic climate, saving cash online can be a good idea for many people, he added. Products such as contact lenses can be great to purchase online, because they often decrease in price if bought in bulk. This could be ideal for someone who wears daily disposable lenses such as Focus Dailies, as packs can vary from three months" supply to a full year"s.
Contact lens wearers can also save on packaging and postage costs by ordering solution at the same time as choosing which reusable lenses they need.